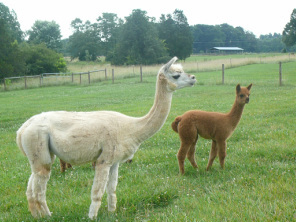 In our barn at Empty Pockets Alpaca Farm, our females are our pride and joy. These ladies were hand picked to represent our farm. Falene is a special gal that has it all. 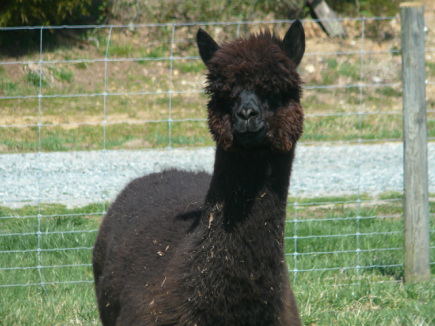 Falene portrays strong lineage, excellent fleece, conformation, presence, and to top it all off, is a great mother. Falene has a notable background with Challenger, Chaval, Lord Byron, and Bueno. Falene has produced beautiful color as well as white with her offspring. Shelby is registered white/medium brown, however she has only one medium brown spot on her left side. The spot is no bigger than a half dollar. 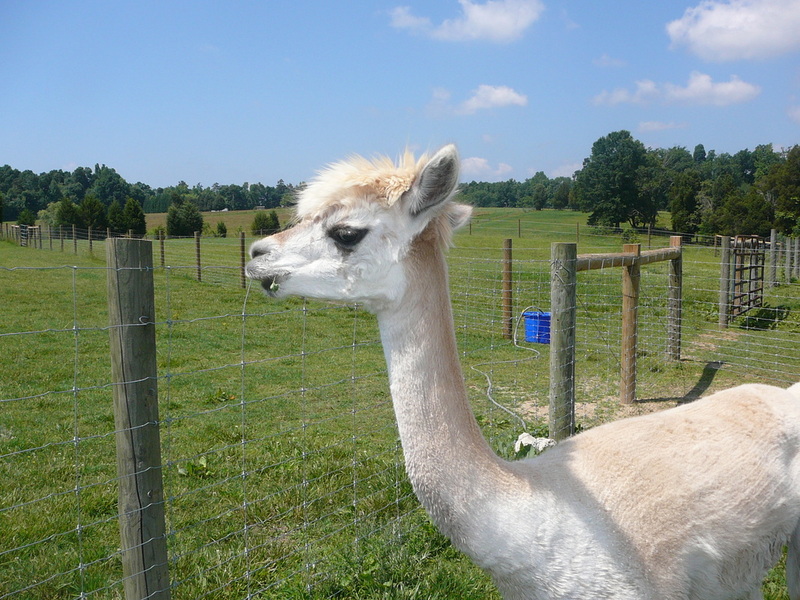 Shelby has fine, dense fleece with great stable length. Shelby is very calm, easy to handle, and has excellent conformation. 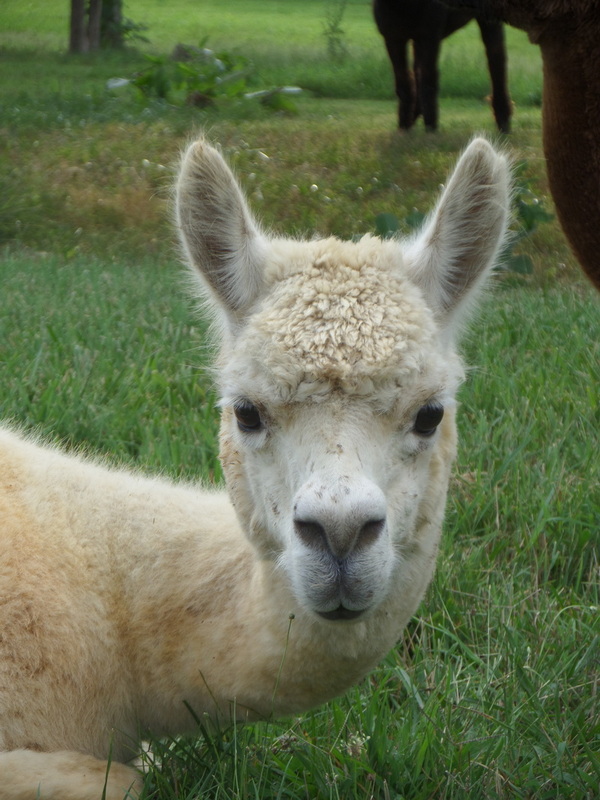 This is another one of the alpacas on the farm that the fleece yields are high and wonderful for your projects. Juliet has a very wonderful gentle face and looks like a true lady. She has very fine bloodlines such as Highland Lochinvar and EL R Ziggy Marley to name a few. 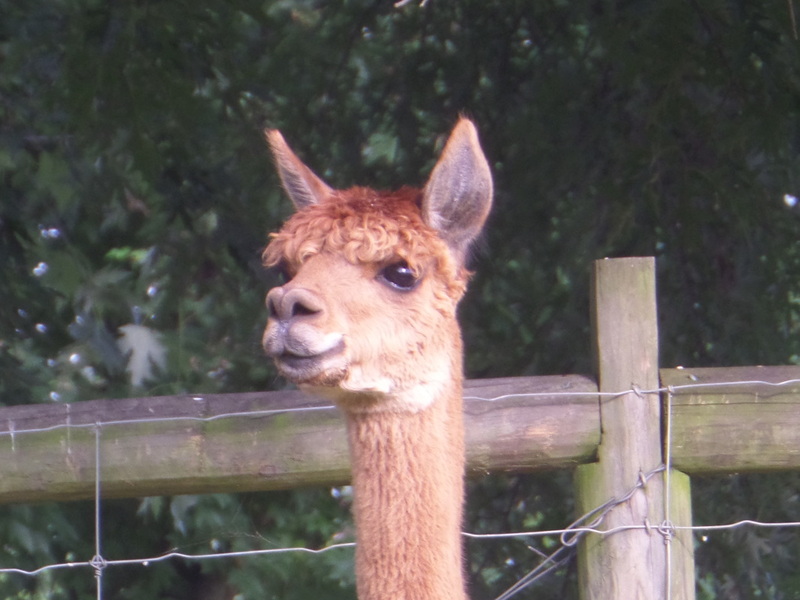 Juliet is a wonderful brown alpaca! She is always in the pastures hanging out with everybody! Juliet is a great animal to watch and has a picture perfect face! Petunia of Empty Pockets is a wonderful female. 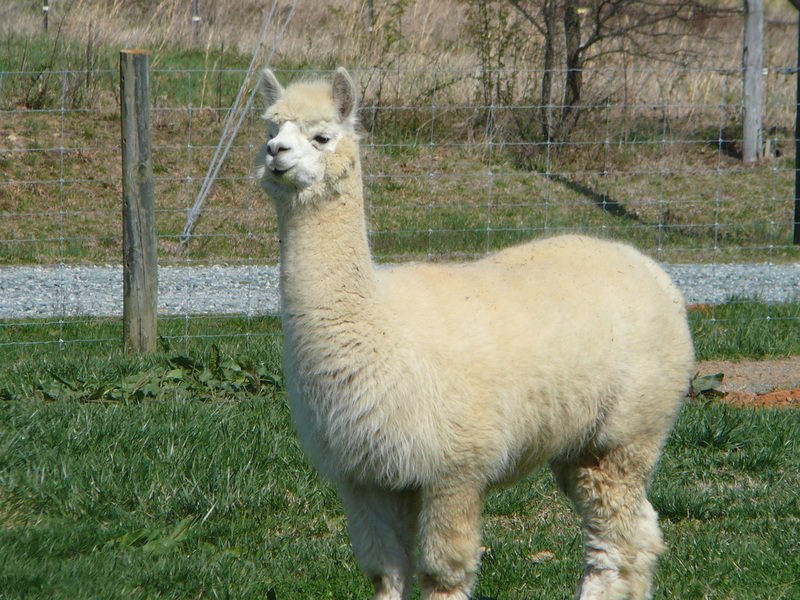 She is a thin and big alpaca much like her father and makes her presence known! 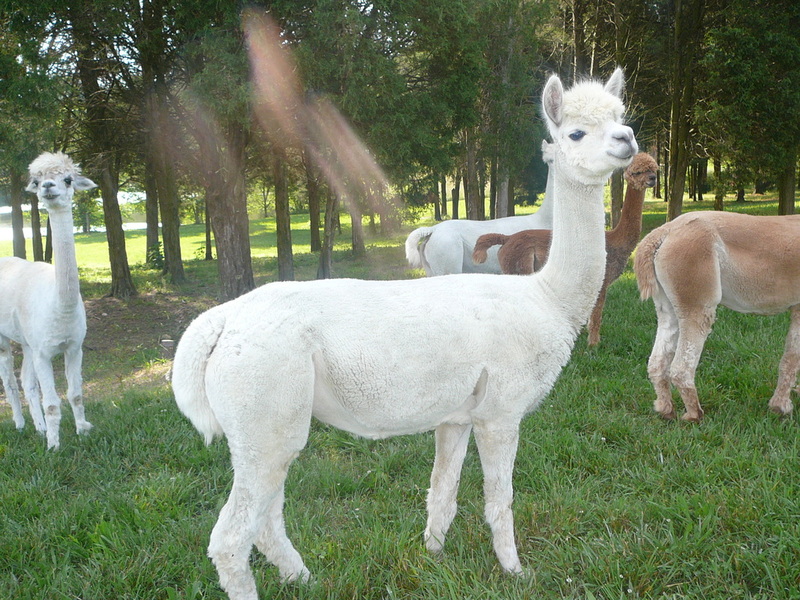 Petunia is a Medium Silver Gray, White and Dark Silver Gray alpaca which makes her yarn unique only to her. With Petunia's stellar lineage and conformation she is compliment to any heard! Victor's Peruvian Tulip is a light fawn. 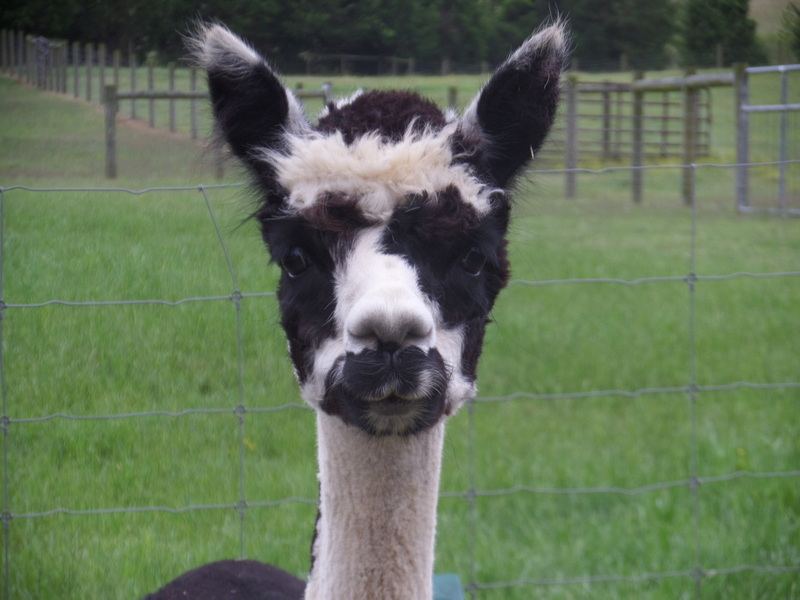 She produces excellent fiber after her mother Buttercup's Theodosia and has a face like her father Victor's Peruvian Orion. Tulip can be found hanging out with her friends or standing in water buckets on hot days! Either way Tulip produces great fiber perfect for any occasion! Venus is that warm and cuddly type of alpaca. No matter what you are doing or where she wants to be right there to see what you are doing. Venus produce excellent yarn and has a personality to go along with! Rosie is another offspring of JJ and DD! She is a wonderful Medium Silver Gray, Dark Silver Gray, and White across her body which produces excellent yarn! Rosie continues the JJ and DD genetics line and makes that bloodline look good! Marigold is wonderful medium brown and white alpaca. She has a picture perfect face and stance, she is always ready for that next picture! Marigold produces excellent yarn and roving! 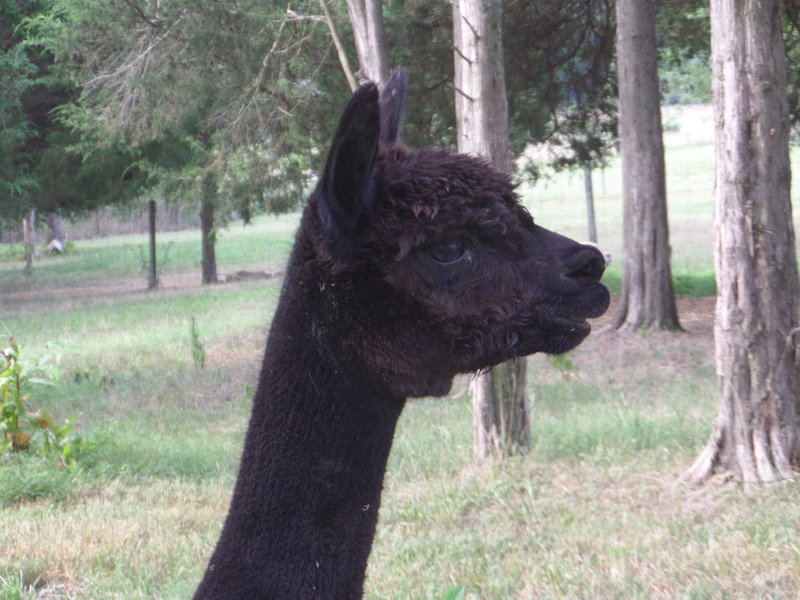 No matter the time or place Marigold is a picture perfect alpaca!